The Tax Cuts and Jobs Act, enacted on December 22, 2017 (the “Tax Act”) altered many provisions of the Tax Code, including the federal Historic Tax Credit (“HTC”). Prior to passage of the Tax Act, the HTC consisted of two separate tax credits: (1) a 20 percent credit for the rehabilitation costs of income-producing buildings determined by the Secretary of the Interior to be “certified historic structures”; and (2) a 10 percent credit for the rehabilitation of non-historic, non-residential buildings built before 1936. 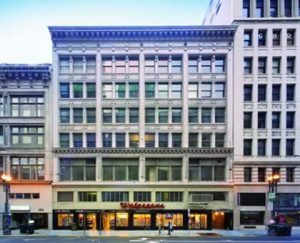 The 20 percent tax credit could be claimed all at once in the first year the building “came into service,” i.e., the year the developer completed the rehabilitation. 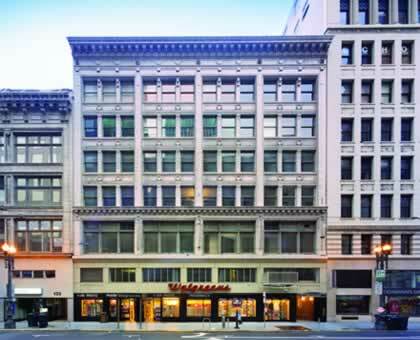 Federal historic tax credits were used to upgrade 153 Kearny Street. The HTC has been popular. Between 1978, when Congress adopted a precursor of the HTC, and 2016, the HTC has spurred approximately $131.8 billion in investment involving over 42,000 projects and creating 2,441,000 jobs according to a 2017 report by Rutgers University and the National Park Service. That report also noted that more than half of the credit-using projects in fiscal year 2016 were located in low- and moderate-income Census tracts. Despite the HTC’s popularity and positive economic effects, the Tax Act altered the credit structure to require the 20 percent tax credit to be spread out in ratable shares over five years. In addition, the Tax Act eliminated the 10 percent tax credit. The change to the credit structure of the HTC could make the credit less attractive to investors who may not want to wait to reduce their corporate tax liability. In particular, investors and banks that used to take an ownership interest in entities holding properties that will receive HTCs or receive the HTCs themselves may be less willing to do so. The change also could make it harder for developers to obtain funds from corporations who used to buy HTCs to offset tax liability. These negative effects are amplified by the Tax Act’s reduction of the corporate tax rate from 35 to 21 percent. Developers who use HTCs should consult with their accountants and tax advisors to see how the modifications in the Tax Act may impact their projects. For the first time since 1995, the Secretary of the Interior (“SOI”) updated the Standards for the Treatment of Historic Properties with Guidelines for Preserving, Rehabilitating, Restoring and Reconstructing Historic Buildings (“Guidelines”). The SOI’s Guidelines inform federal, state, and local decisions related to the demolition, alteration, and expansion of historic buildings. In California, compliance with the SOI’s Guidelines is often used as the threshold to determine whether a project would have a significant impact on a historic resource under the California Environmental Quality Act (CEQA). Under CEQA, a project that complies with the Guidelines is generally considered to have a less than significant impact on the historic resource. The CEQA Guidelines specifically cite to the 1995 version of the SOI’s Guidelines, but this citation likely will be ignored, with CEQA consultants relying on the updated historic Guidelines when evaluating a project’s impact on a historic resource. Further, the Office of Planning and Research likely will update the CEQA Guidelines to reference the 2017 version of the SOI’s Guidelines, which will remove any uncertainty about which version should be used in CEQA evaluations. Eliminating sections on “Energy Efficiency” because that issue is covered by the guidance provided on sustainability in The SOI’s Standards for Rehabilitation and Illustrated Guidelines on Sustainability for Rehabilitating Historic Buildings, issued in 2011. Those working on projects that involve a historic resource should be sure that their consultants and permitting agency are aware of the update to the Guidelines, particularly changes to recommended treatments that may affect the project’s design.